After spending several days around Lynnhaven River and Virginia Beach, we headed up to The Eastern Shore for the remainder of the week. With Hurricane Arthur right on our tails, we weren't really sure what was going to happen. Fortunately, the storm passed by with little commotion and we were able to enjoy plenty of sunshine and seafood with new and old friends. The Eastern Shore of Virginia has to be one of the Atlantic Coast's best kept secrets. Separated from the rest of Virginia by the Chesapeake Bay, this 70-mile stretch of wetland and woodland flies quietly under the radar. After an easy drive back over the Chesapeake Bay Bridge-Tunnel from Virginia Beach, and up along the significantly less exciting stretch of US Route 13, we stopped at the Machipongo Trading Company for lunch. This charming little eatery and specialty food shop makes sensational breakfast sandwiches (there's something addictive about that bacon) and tasty iced coffee concoctions. Heather met up with us for a quick bite and then helped guide us to our first excursion's starting point. Before leaving, we purchased a bag of coffee called the "Oyster Roast" from Eastern Shore Coastal Roasting Company. I just brewed myself a cup this morning and it's phenomenal. B and I have done many kayaking and wine tasting trips before, but never together in the same tour. So when Heather told us about SouthEast Expedition's "Paddle Your Glass Off" Kayak Winery Tour, we were pretty excited to try it out. Our tour guide, Ethan Watkins, is an experienced paddler with a real passion for the water. He was equally happy to take us around that day, since we were his ticket to get out on the water one last time before the storm. I decided to take my DSLR with me in a drybag. I figured that if I could kayak the Puget Sound and Casco Bay without flipping over, I could handle this. After paddling around a bit with perfect ease, I realized that I had nothing to worry about. The conditions on Church Creek were appropriate for its namesake: calm, quiet, and very serene. For most of the paddle, we were left alone with mother nature. Before reaching our destination, Ethan gave us a quick synopsis about the winery. Chatham Vineyards was founded in 1999 by Jon Wehner, a second-generation Virginia winegrower. Jon started out by just growing and selling grapes from a small 5-acre plot of land. (Since the late 20th century, the Eastern Shore has been recognized as an American Viticultural Area.) After a few years of grape growing, the Wehners quickly realized that they had the potential to be doing much more. In 2005, the built a winery and began producing their own wine. Today, Chatham Vineyards grows roughly 32,000 vines on 20 acres and produces six distinctive wines out of five grape varietals. The winery was buzzing with sipping activity. We were definitely the oddballs in the room. Sweaty, red in the cheeks from the sun, and donning water shoes—our appearances weren't the norm at most wineries. "Here are the kayakers!" Someone announced. Everyone stopped staring and went back to their vino. A friendly and familiar face appeared. Mills Wehner, Jon's wife, came over to welcome us to Chatham Vineyards. Although we missed each other at last month's VA Craft Event in NYC, our timing was perfect today. Mills guided us through the entire portfolio of wines, starting with their signature Church Creek Chardonnay - Steel Fermented. Their Chardonnay grapes are fermented and aged in stainless steel tanks for nine months, which results in a bright and crisp acidity that complements oysters quite well. The 2012 and 2013 vintages are surprisingly different from one another. One had tangy apple and pear notes while the other was more tropical and melon-like in flavor. Mills explained that the nuances are due to differences in weather and harvest conditions from year to year, which is not all that different from oyster farming. In fact, they host an annual tasting event in November—Merroir & Terroir: Oyster Extravaganza—that celebrates the pairing of their Chardonnay with a spectrum of heirloom oysters cultivated from the local waters. In addition to the attentive and friendly team at Chatham Vineyards, the company also has a couple canine ambassadors. 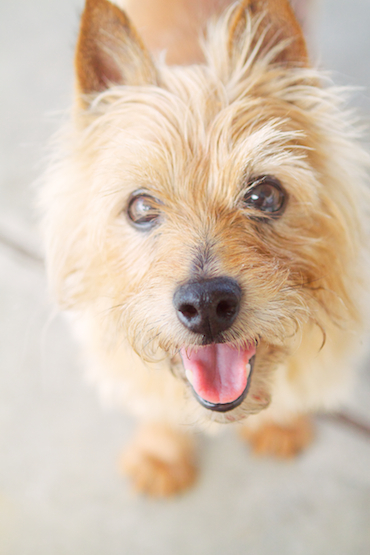 I loved meeting Wilbur the Norwich Terrier, resident winery dog (shown above). He was the sweetest little guy ever, and I felt kind of bad eating cheese and crackers in front of him without sharing. Another dog that caught my eye was the Chesapeake Bay Retriever on a large banner next to the tasting counter (shown below). The retriever is pictured doing his thing—Retrieving!—but instead of waterfowl, he had a wine bottle in his mouth. Mills explained that they came up with this iconic visual to help Chatham Vineyard differentiate themselves from some of the other similar-sounding wineries out there. Clever! The kayak-winery tour included a bottle of our choice, so we decided to bring home a 2012 Chardonnay Steel and also purchased a bottle of the 2013 for the paddle back. Dinner at the scenic Island House Restaurant with Heather, Roland, Rich and Kate. The Oyster Parramore is a must-try. You get six Sewansecott oysters baked with plump crab meat and the restaurant's signature sauce. The oysters are browned just the right amount of time so that the meat is still juicy and tender. You can also order a half dozen raw Sewansecotts to get a complete oyster tasting story. For my main, I had the Fresh Sea Scallops, which are either offered broiled or fried. Local tip: ask about "bronzing," a hybrid preparation method that involves glazing with butter/brown sugar. Walking around the 62nd Wachapreague Volunteer Firemen's Carnival. This was a pretty happenin' place! The whirling rides, fair games, tempting snacks, and bingo contest reminded me of growing up in Indiana. B decided to try his luck at one of the games and placed a handful of chips down at a kid's version of a roulette table. On the first spin, he won a stuffed panda toy. (Yay!) Unfortunately the concept of probability was lost on the little ones, who were conscientiously not trying to spend their allowance money all at once. Having breakfast at Exmore Diner, an Eastern Shore landmark for over 50 years. This tiny restaurant was packed from corner to corner with patrons, young and old. After our food came out, we understood why. The portions were generous, the food was tasty, the service was fast, and the price was right. All ingredients to keep a good thing going. Catching the sunset on Quinby Bridge has to be one of the best ways to end the day. We stopped for a good 15-20 minutes by the old toll house to snap photos. There Oyster & clam farmer Rich Terry said that his grandmother helped build the toll. The winds were exceptionally gusty on the morning of July 4th at Cape Charles, due to the proximity of Hurricane Arthur, but that didn't stop us from enjoying the charm of this bayside town. The town was very walkable, but we also saw a number of golf carts shuttling visitors to and fro. We first braved the stinging sand and sea sprays that pummeled the Cape Charles Fishing Pier. Then we sampled the tasty artisanal treats at Gull Hummock Gourmet Market and perused their extensive collection of hard-to-find beers and wines. We later came across a colorful array of vintage oyster cans at the Cape Charles Station Antiques and Collectibles. As ice-cream lovers, we really enjoyed stopping by Brown Dog Icecream to cool off with a sweet scoop (which is actually more like 2.5 scoops). They make a number of perennial and seasonal flavors such as Sweet Corn and Peach. H.M. Terry is a family owned and operated shellfish company based out of Willis Wharf, on the Atlantic aka "seaside" of the Eastern Shore. The company has been around for over 110 years, making the Terry family one of the three oldest shellfishing families on the East Coast. Heather's great grandfather, Henry Miller Terry Sr., moved to the Eastern Shore from Sayville, Long Island (one of America's most iconic oyster towns in the 19th century) and founded HM Terry Co in 1903. The Sewansecott™ brand was created at the time of the company's inception to help market and sell their wild Eastern Shore oyster. Everything was going great up until 1988, when two oyster diseases invaded the Eastern Seaboard and nearly wiped the entire Virginia oyster population -- including H.M. Terry's. With some determination, courage, and help from the Virginia Institute of Marine Science, the company successfully pivoted their business into hard shell clams. Fortunately, the Terry's were able to retain their oyster roots by later expanding their production to include farm-raising oysters. They're currently in their 6th year of shipping boxed Sewansecott oyster for half shell enjoyment. Heather is a fourth-generation oyster grower and supermom. When she's not tending to her own two kids, she's checking in on her other millions of babies. Baby oysters and clams, of course. The H.M. Terry nursery is Heather's domain. She specializes in keeping the seed happy and healthy during their most delicate stage. We got a chance to peek inside the many rows of upwellers at their outdoor facility just up the road from their processing warehouse. Heather scooped out a handful of small quinoa-sized seed for us to examine. At that age, they looked more like clams than oysters. A set of industrial pumps continuously push nutrient-rich saltwater from the creek up and through the barrels of seed, 24/7. Nothing else is required. The baby oysters and clams gorge themselves on algae from the creek water, and in turn, grow quickly. In several weeks, these babies will double in size. Once they graduate from this temporary school/cafeteria, the oysters are then transplanted to Hog Island Bay to be grown out to market size. On our last morning at the Eastern Shore, I met up with Heather and Rich at Willis Wharf for a final adventure. Rich untied the oyster boat from its slip and we glided out on to Parting Creek. Just as Heather owns the nursery, Rich has the water. Hog Island Bay is Rich's domain. No matter if it's sunny or rainy, he's out there working the grounds. It's hard to describe the beauty and vastness of this place in words or even in photography. The land is exceptionally flat (Eastern Shore ranges from sea level to 50ft above sea level), but is layered with different colors, patterns, and textures. Dark clumps of wild oyster reef laid uncovered at low tide like sleeping sea lions on the beach. Off in the distance, the trees on Hog Island sprinkled along the horizon like a line of morse code. In my mind, everything is all at once familiar and foreign. In a short while, the waterway opened up to the sprawling Hog Island Bay. Hog Island is one of 14 Barrier Islands along the Eastern Shore and is completely uninhabited today. Deemed as "one of the last great places," the area is recognized by the United Nations as a Biosphere Reserve and is owned/protected by The Nature Conservancy. Due to its unique position, Hog Island Bay is the only place on the Eastern Shore where there are no inland rivers impacting the water quality. Having consistently high water quality is a tremendous competitive advantage for H.M. Terry Co. because it enable them to be more resistant to water closures than other harvest areas. The bay is made up of almost all ocean water -- water salinity is at a constant 34-35 ppt year round. Not everything is constant here though. The bay possesses an ever-changing bottom. Sandbars and shorelines grow bigger or smaller every year, depending on the wind and waves. The islands oscillate in size, making permanent residency nearly impossible. (Check out the documentary, Our Island Home, to get a sense of what Hog Island used to be like.) As one of the largest ground holders in the area, H.M. Terry have little trouble adapting to these shifty conditions. Rich pulled up to a narrow strip of land in the middle of the bay. Upon closer examination, I discovered that the ground was made up of millions upon millions of oyster shells. This mythical half shell oasis was unlike anything that I had ever seen. Rich walked over to the east end of the shellbar and picked up an oyster cage from the teal-blue water. He gave the cage a good shake and then carefully plucked one of the fruits from the lot. In a flash, the Sewansecott was shucked and handed to me. I swished the meat around in its deep cupped shell and slurped it up. The crisp and sparkling taste of the ocean immediately hit my palate. The meat was dense, firm, with splashes of minerality. Its initial brininess transitioned into a succulent, sweet finish. I had a second, followed by a third. Each one tasting better than the last. Combined with the breathtaking, pristine view and sweet ocean air, this oyster experience was pretty much as good as it gets. I felt exceptionally lucky. This time, Rich stopped the boat in a spot where there was no visible land. Other than a few poles in the distance, there were no other notable signage to mark the location of the clam beds. Rich hopped out of the boat and landed about knee deep in the water. He proceeded to walk swiftly towards the pole while talking on his cell phone, as if this was all happening on dry land. I was quite a bit more timid about getting in the water. Heather held onto my DSLR as I climbed over the edge of the oyster boat. The water reached my mid-thigh and it took me a moment to adjust to the cool temperature and unusual visual/physical sensation of "walking on water." The bottom of the bay here was pretty firm and smooth, so after a few shuffles, I felt a bit more at ease. Slowly, but surely, I waddled behind Heather out to the clam beds. The water depth got shallower the farther we walked out. By the time I caught up to Heather and Rich, the water had receded to about mid-calf level. A long row of smaller stakes in the ground appeared into view. Rich dug into the sand by one of the stakes and lifted up a piece of mesh that contained about a hundred or so miniature clams. The netting acts like a protective barrier from predators and juvenile playpen for the pseudo-mobile bivalves. Unlike oysters raised for the half shell market (which require a lot of pampering in upwellers), clams are set out on the bay at a very young age. We stopped by a total of three clam bed locations on our trip, with each area holding a different age/size of clam. H.M. Terry sell their ocean salt clams according to size grades: Middlenecks (1" - 1.5" at hinge, 7-9 per lb), Little Necks (7/8" - 1" at hinge, 9-12 per lb), and Pasta Necks (5/8" - 7/8" at hinge, 12-15 per lb). Our last stop of the day was by far the most challenging to traverse. The bottom was a lot softer and muckier than the first. Being graceful on the water was out of the realm of possibility. As I schlepped my way across the seaweed-entangled clam bed, I tried to imagine what it must be like having to do this when the weather was not perfect. Rich picked up a couple Middlenecks from the pen so that I could take a closer look. You can immediately tell the difference between a seaside clam and a bayside clam by its color. The bayside clams are light, whereas the seaside clams are sooty and dark. But even so, I still saw a smile run across its muddy lips. Who wouldn't want to out their lives in this spectacularly beautiful place? Many thanks to Heather Lusk and Rich Terry for your hospitality and kindness! I'm so glad that we were able to hang out on your turf, and hope that B and I will get to see you guys again later this fall!